Make the right upgrade for your home when you choose a new set of floors from Flaherty’s Flooring America. At our showroom, we carry a complete collection of luxury vinyl flooring in Houston, TX, and surrounding areas. Whether you are ready to update your kitchen, bathroom, or entryway, we have the right option for you. 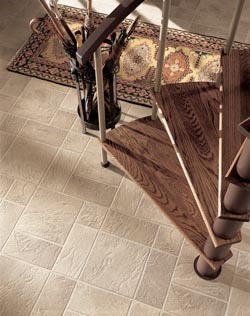 Speak with us today to discuss the details of your luxury vinyl flooring installation. Is it time for a change at your home? While you may believe that your only option is to undergo a lengthy and expensive remodeling job, you can achieve a bold new look by simply switching out your flooring. Our showroom has everything you need to achieve your design goals. With all of the options you have for luxury vinyl plank and other flooring, it can be confusing to select the right material for your space. Our professionals are happy to advise you on the features and benefits of each of our products. We are available to meet with you to answer any questions you have regarding your purchase. With our guidance, you will choose the perfect color, texture, and style to make your home stand out for all of the right reasons. You have enough to do each day without stressing over the condition of your floors. By adding luxury vinyl tile or plank to your home, you will create a standout style that holds up to regular use. This flooring material requires minimal maintenance to keep it looking stunning. Once you find a style you love for your home, trust us to complete your remodel for you. Our professionals proudly offer luxury vinyl flooring installation services for rooms of all sizes. When you work with us, you can count on us to perform your project to the highest standard. We focus on the details to ensure that every plank or tile is placed properly. Contact us at (281) 297-8144 to shop with our team for your new set of vinyl flooring. We carry a complete selection of materials for customers throughout the Northwest Houston area.